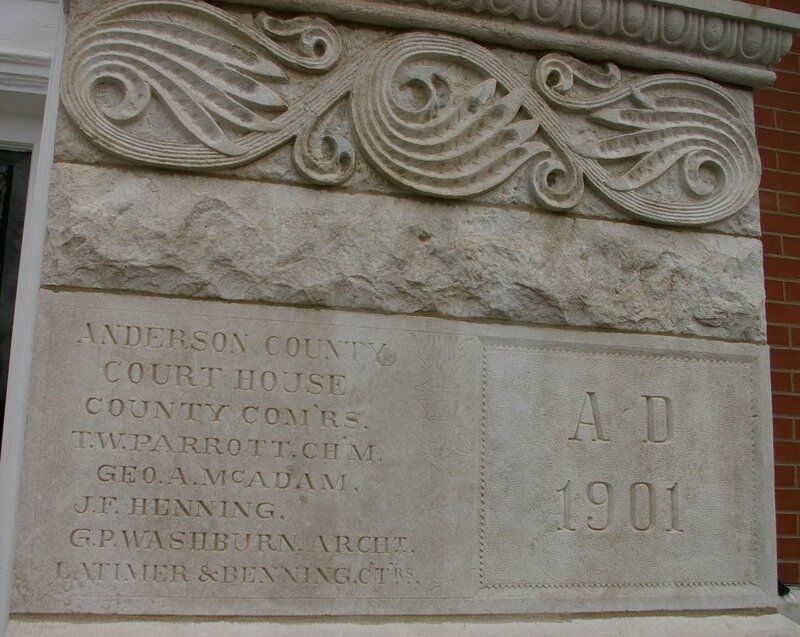 Anderson County is named for Joseph C Anderson, who was a member of the first Kansas Territorial Legislature and speaker of the House of Representatives. 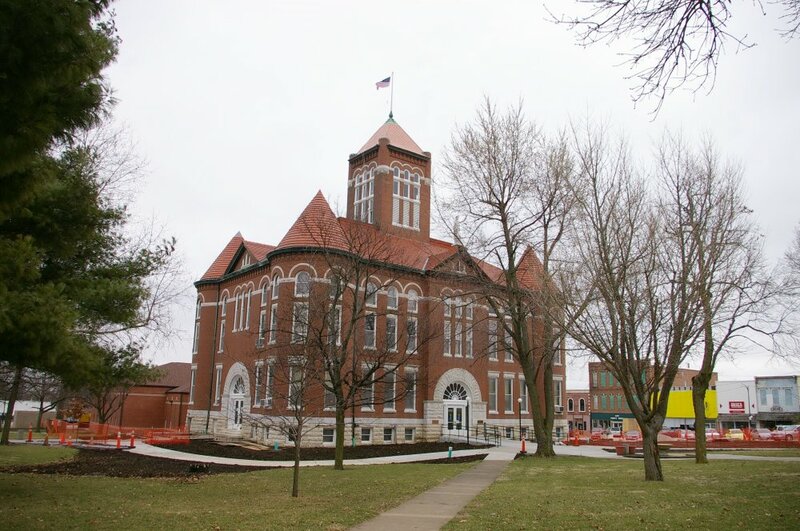 Description: The building faces north and is a three story dark red brick and limestone Romanesque Revival style structure. The north front has a large arch at the entrance with recessed doorway. 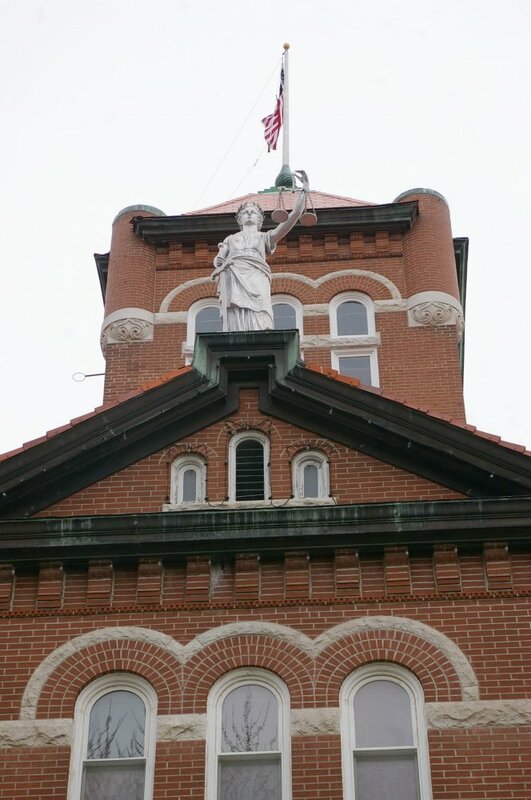 Above the entrance is a peaked roof with the statue of Justice. 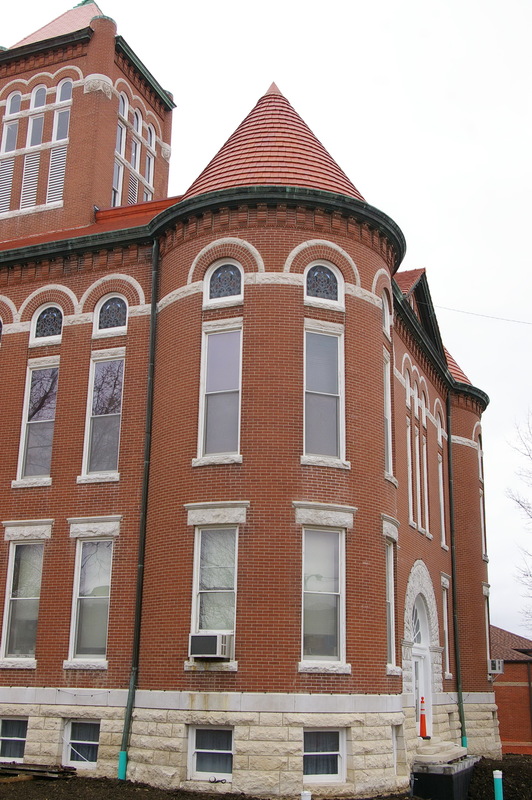 On each corner of the building are round brick towers with conical roofs. 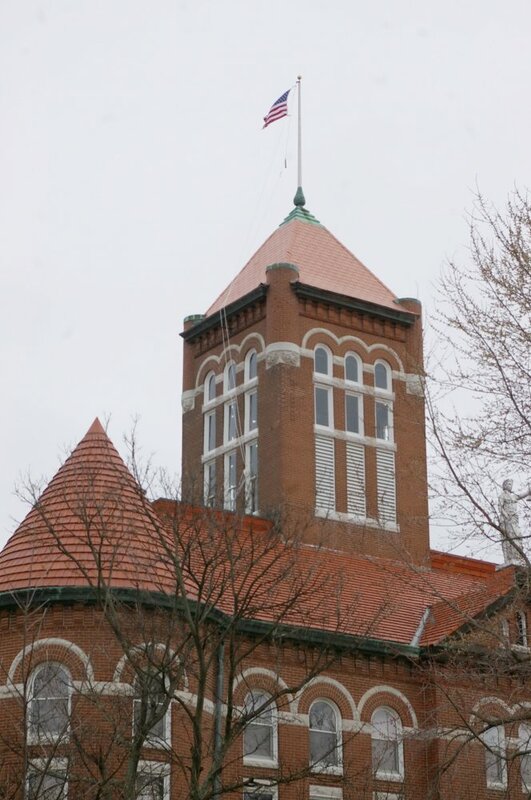 On the center of the roof is a high square brick bell tower with peaked roof. 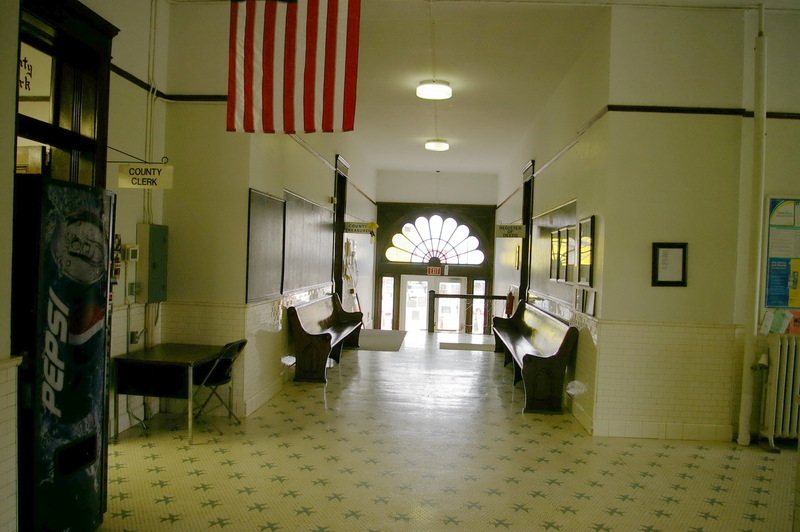 The base of the building is white limestone. The roof is hipped with red colored clay tile. In 1947, a slate roof replaced the original roof. 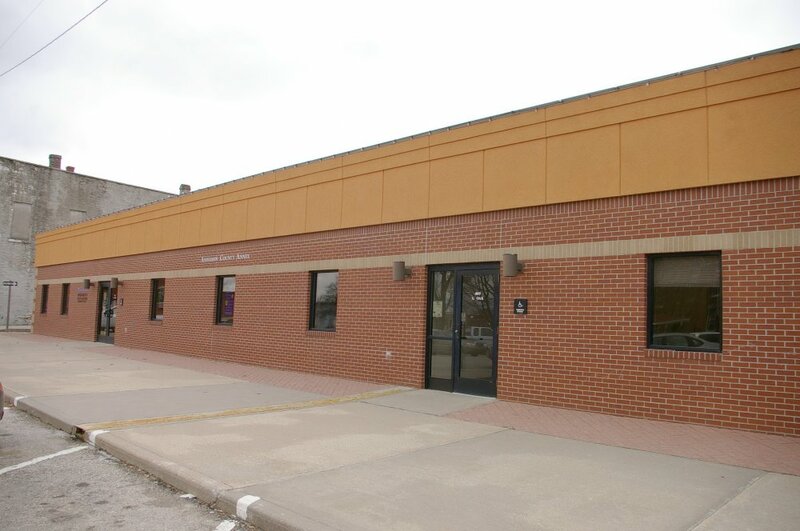 The building is located on landscaped grounds and along the east side is the modern courthouse annex. 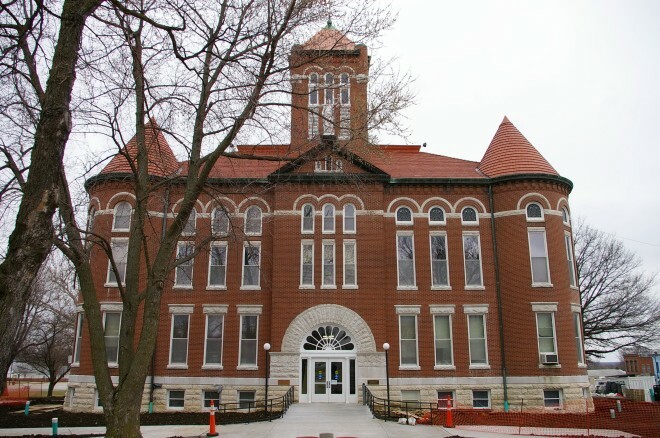 Note: The cost of construction of the courthouse was $75,000. 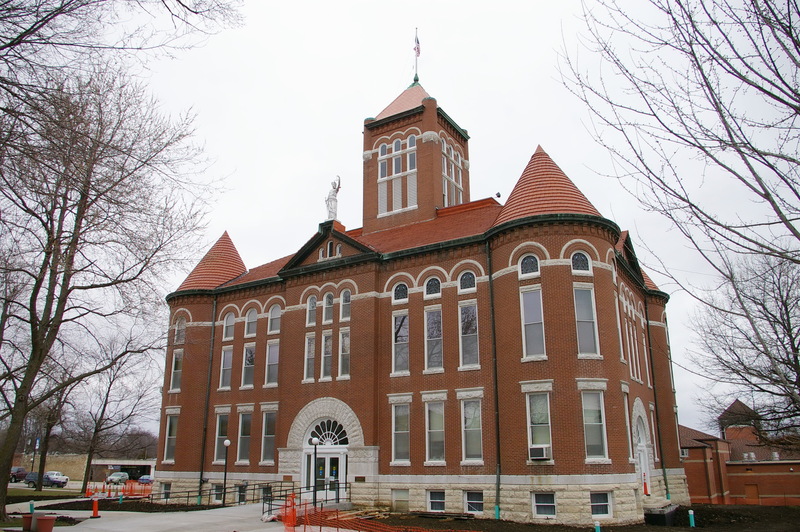 Note: The architect, George P Washburn & Sons, designed courthouses in Atchison County, Butler County, Chautauqua County, Doniphan County, Franklin County, Harper County, Kingman County, Miami County, Pratt County and Woodson County, and Beaver County in Oklahoma.